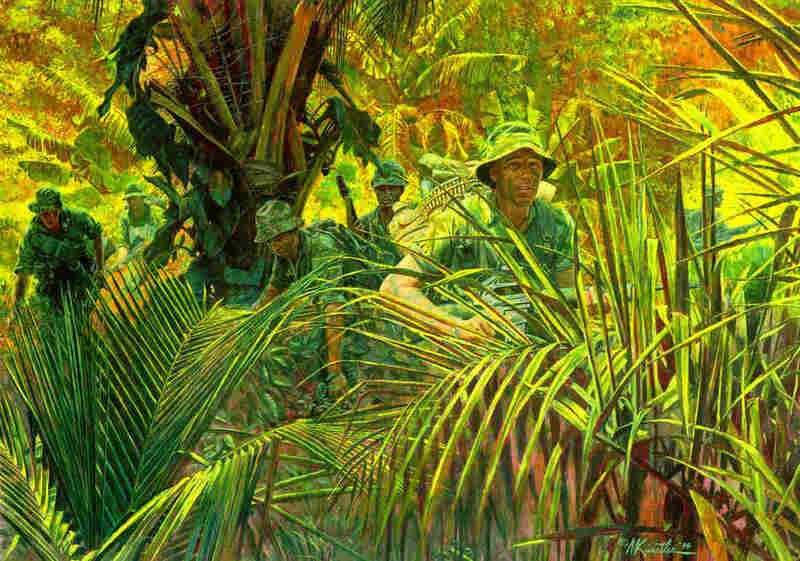 International Guard: How The Vietnam War Changed Guard Service During the war, young men often tried to join the National Guard to avoid being sent overseas. But that war changed the nature of the guard — paving the way for today's deployments abroad. 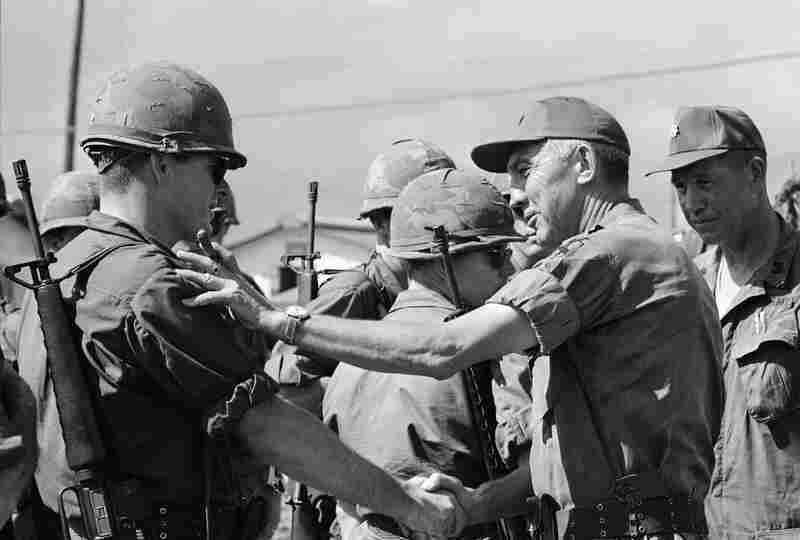 Lt. General William Peers, second from right, talks to an officer of the National Guard's 116th Combat Engineer Battalion of Idaho Falls, Idaho, at Phan Rang, South Vietnam, Saturday, September 18, 1968. At the time, many saw the National Guard as a way to get out of the draft, but eight units were ultimately sent to Vietnam, including the 116th Battalion.